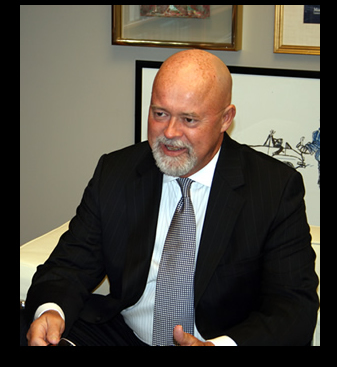 Fred entered the practice of law in Atlanta in 1973 and has been a labor and employment practitioner for over forty years. Before starting his own law firm dedicated to the practice of labor and employment law, Fred served in the partnerships of several national law firms including Ogletree, Deakins, Nash, Smoak & Stewart and Powell, Goldstein, Frazer & Murphy (now Bryan Cave LLP). From 1996 until 2009, Fred served as vice president of labor relations and employment for Robert Bosch LLC, the US subsidiary of Robert Bosch GmbH the German-based international manufacturer of automotive, industrial, and consumer products. In 2009 Fred retired from Bosch and returned to private practice with his son Andrew. Over the years Fred has represented employers in all labor and employment matters, including litigation before the federal and state courts and the National Labor Relations Board. He also represents employee plaintiffs in work-related disputes. Fred’s responsibilities with Bosch covered all of the company’s North American operations and included litigation and litigation management, collective bargaining negotiations, arbitration proceedings, labor and employment advice, and the management of a wholly-owned subsidiary providing consulting services to the parent company. In that capacity he was responsible for budget forecasting and was accountable for the subsidiary’s profit and loss and other business results. Along with his legal practice, Fred maintains an active dispute resolution practice serving as an arbitrator and mediator for private parties seeking to resolve their disputes. Fred is a graduate of Wheaton College, The Johns Hopkins University where he received his Master of Arts degree, and the Emory University School of Law. Fred‘s professional memberships include the American Bar Association, the State Bar of Georgia, the Atlanta Bar Association, and the Lawyers Club of Atlanta. He is also a member of Ansley Golf Club and The Cathedral of St. Philip.